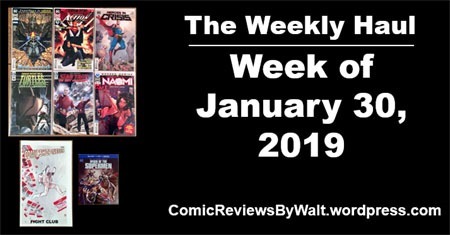 So after a few weeks of doubling up on what could easily be a weekly post, I’m getting to this prior to the following week’s new releases! 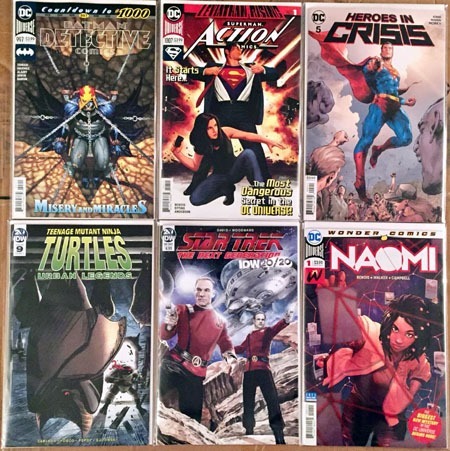 This was a small-ish week of new comics. Detective Comics has a mere 2 more chapters for the current story arc, and then the big 1,000th issue. Action Comics begins a new arc, and this one "headlines" the cover in a way that I feel like I haven’t seen in too long! (Though perhaps I’m just neglecting to remember something from within a few weeks). 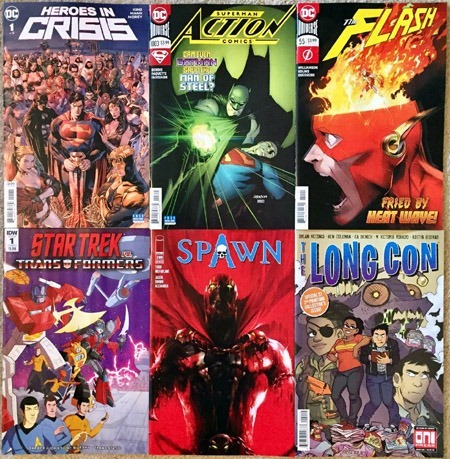 And while I believe Heroes in Crisis was slated to be 7 issues and got expanded to 9…here I am at 5 issues in and not much has really happened, other than some characters killed off, only a couple of which seem to even have any real effect on anything outside of this title (Flash and Green Arrow due to Wally and Roy). 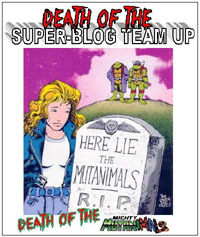 At "only" (and simultaneously "already at" #9, TMNT: Urban Legends puts us at about the 1/3 mark for this series. I was only going to get the TMNT issue of the IDW 20/20 stuff, but picked up Jem on a whim, and the nostalgia of the Star Trek: The Next Generation logo here hit me such that I went ahead and grabbed that 20/20 issue. It proved a too-quick read but not horrible–written by Peter David, after all–and I REALLY dug the art! Finally, missed out on Naomi #1 the previous week, but was able to snag a copy of it this week, to check out. While I’m loathe to add titles to what I’m buying in general, I’m beginning to wonder if I might actually enjoy this Wonder Comics imprint. I’m at least seriously considering giving the other #1s a shot. We’ll see what happens! Comic Shop News is a staple. 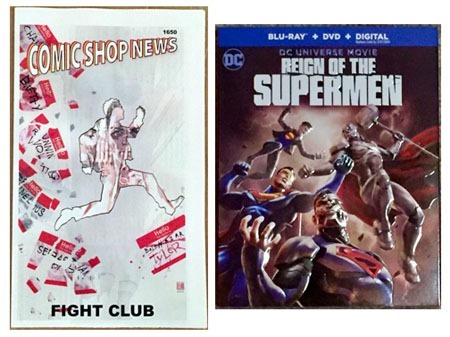 The week also saw the "physical" release of Reign of the Supermen, after it having a theatrical engagement and then a stupid "digital-only" "window" of release such that I honestly nearly forgot it was due out! 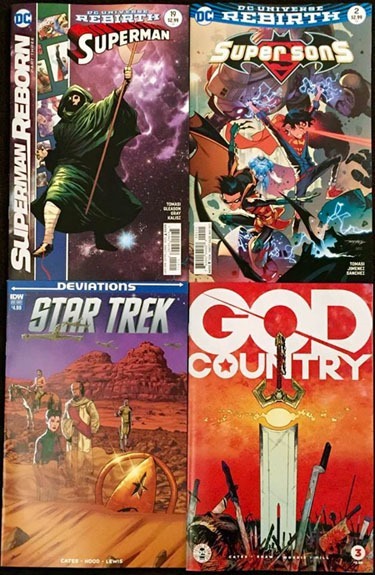 This week was a smallish week again, though I got four new comics instead of only the 2-ish apiece the last couple weeks. 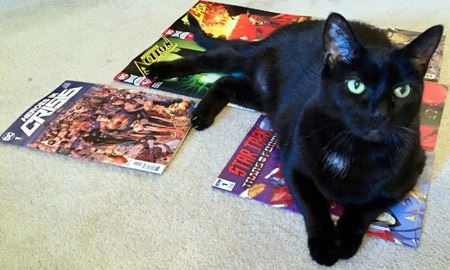 I broke down and bought the $4.99 Star Trek: Deviations one-shot figuring maybe it’d be a "fun" read, but it wound up being rather blah to me, especially after reading the piece after the story about its genesis. And the waste of valuable pages for "sketches" and such involving a variant cover, rather than more pages of actual story. And three two-page segments about three other Star Trek books IDW is currently publishing…all of which referenced something about 3 pages, yet each only had ONE page of actual "preview," and STILL only two including the page that’s nothing but an AD for each series. On a higher note, taking advantage of a week of Half-Price Books coupons (but having waited til they got to 30% off an item), I snagged Superman in the FIfties, which I believe leaves me now only missing the In the Sixties volume. I’ve become quite the fan of the Aliens stuff the last year-plus again, and this "art book" (for slightly less than two Marvel single issues) will more than outpace the time it’d even take to read those two Marvel issues, just reading captions and enjoying the art! I’ve got my eye on a couple other things for the 40%-off coupons Friday and Saturday. I may do a quick weekend post if I score what I’m considering. Alternatively, might just post to Facebook and be done (I do sometimes post photos and other stuff "exclusively" to this blog’s Page…there should be a link on the left of this blog post). I’ve been to at least 4 of these now, with varying degrees of luck finding stuff I’m looking for. One year I found a bunch of X-Men and Valiant stuff; another year I happened across an X-Men omnibus for 60% off cover minutes after walking in and bought it and walked out before I could spend more money. I believe it was last year I scored several action figures I’d been looking for. I went in hoping to find a discounted Thanos vs. Hulk paperback or X-O Manowar deluxe hardcover vol. 1 and barring those, perhaps a Thanos Mighty Mugg or perhaps the Hulkbuster Iron Man Marvel Select, or maybe some cool quarter-bin issues or Power Rangers blind-box mystery vinyls, etc. Sadly, the only real bargain bins I saw were Comic Heaven and I have access to that store anytime I’m (frequently) in the area. 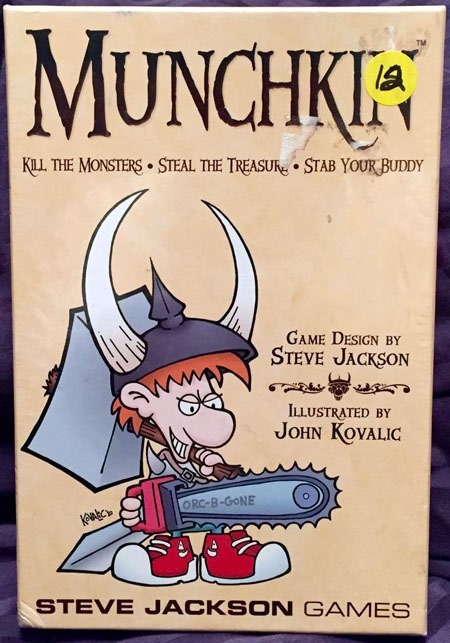 But one dealer had a bunch of old toys, mostly loose, as well as several classic board games…and Munchkin. 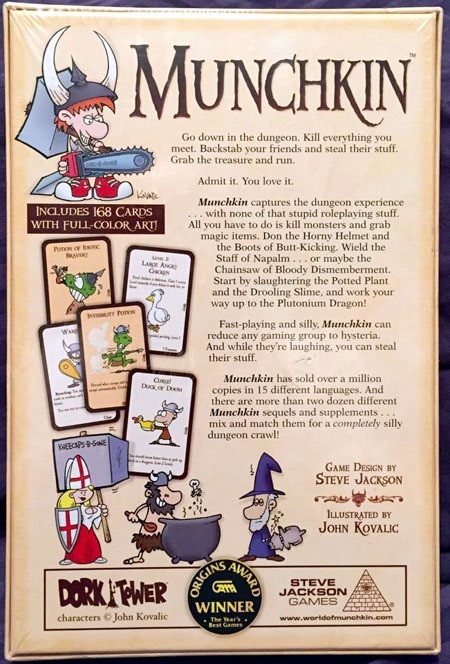 I’ve been putting the newer Munchkin Legends in my cart at Target and then jettisoning the thing before I check out for over a year, and often considering some of the expansions elsewhere when I come across them (and not getting those for lack of having the core/original game). Finding this "classic edition" for only $12 was a great find, and means I can at least play the game itself. 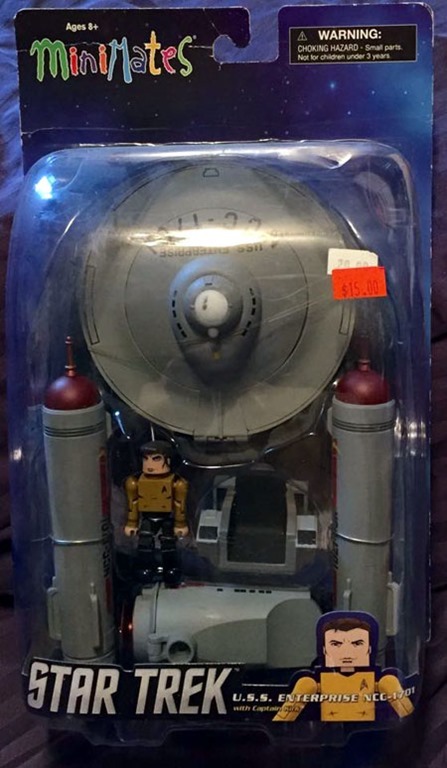 I came across this Minimates Enterprise (with Captain Kirk) and picked it up, put it back, picked it up again, put it back, walked away, and then back to actually get it. Despite being a Star Trek fan, until now I’ve never actually had an Enterprise, and for the price (and the branding), I decided this is worthwhile and will definitely get some shelf space. There’s also the coolness factor for me that it’s the Original Series and not based on the new movies version. While I like the new movies, I like the "classic" stuff and it seems there’s much more available than for the new films. 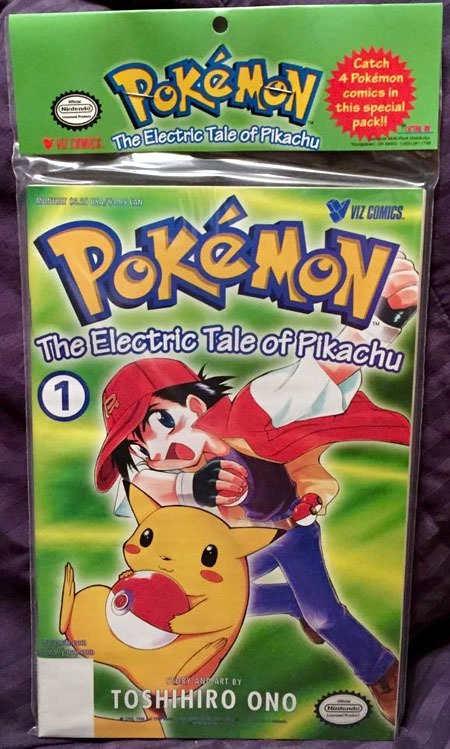 And I was recently remembering the classic/original Pokemon stuff, and finding the complete original mini-series for only $3 was well worthwhile. With these three items, I figured I had spent enough and didn’t need to go looking for more to spend money on just for the sake of spending money; and since I hadn’t really seen anything particularly eye-catching or promising…that was that. 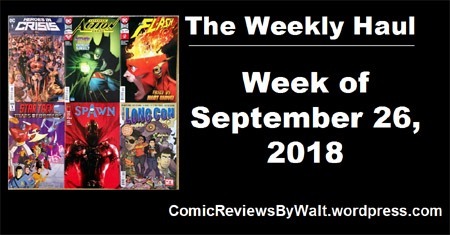 I was in and out in under a half-hour, spending only about what I’d usually spend in a typical weekly comic shop run, so I did well, and walked out with half my "budget" still in-pocket, which itself can now go to this week’s new comics. I’ve been hearing about these “Lootcrate” things for a few months, but only recently really had ’em brought to my fuller attention. And with the advertising push for the September crate–the month’s theme being “Galactic”–I gave in and decided to go ahead and order one. 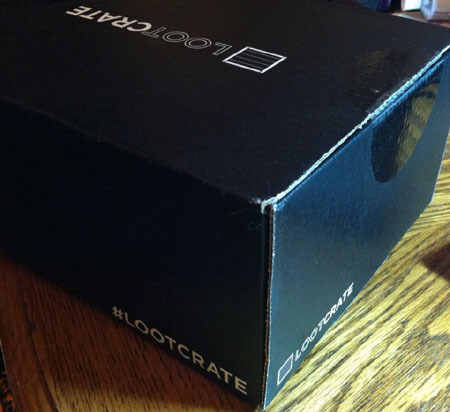 So my first Lootcrate arrived this week…I don’t know what size box I was truly expecting, but this was not a bad size at all. 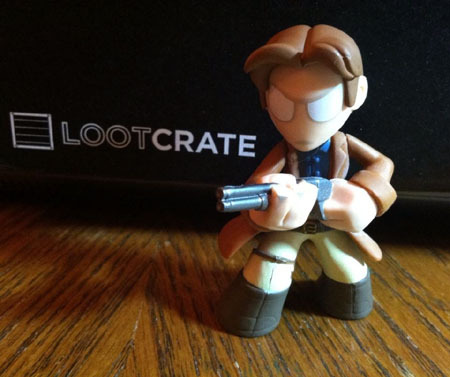 And at first dig-through, I’m pretty content with my “loot.” One of those blind-pack “mystery mini” figurines (Malcolm Reynolds…so not quite so “blind” in terms of this month’s crate). A Lootcrate-exclusive Tribble. A RetroAction figure from the Alien wave (I got Ripley…I was expecting the Alien itself, so kinda disappointed there. Not really sure what to make of the other stuff…not particularly impressed with the other inserts. 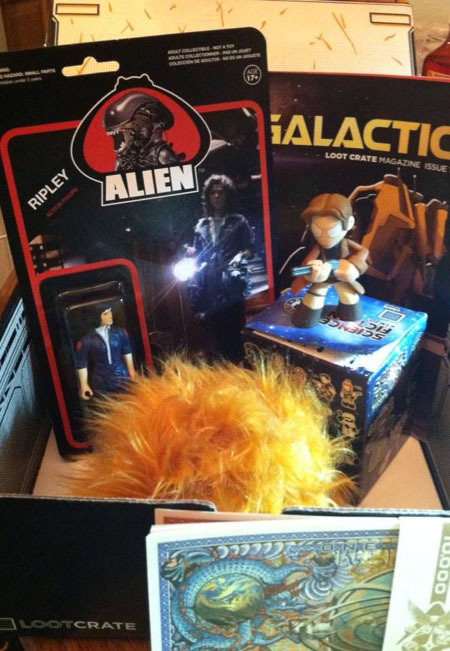 But I’d have to say the Tribble and the Mal Reynolds mini are largely worth it by themselves…the Ripley/Alien figure makes the dollar value worthwhile. I figure the Alien figure would be $10, the Tribble would probably be at least $5-$9 if not $10, and the mystery mini would be at least $6. All in all, not bad, and while I may not be overly “excited” by what I’ve got, they’re cool to have, and I look forward to finding out what October’s theme will be. 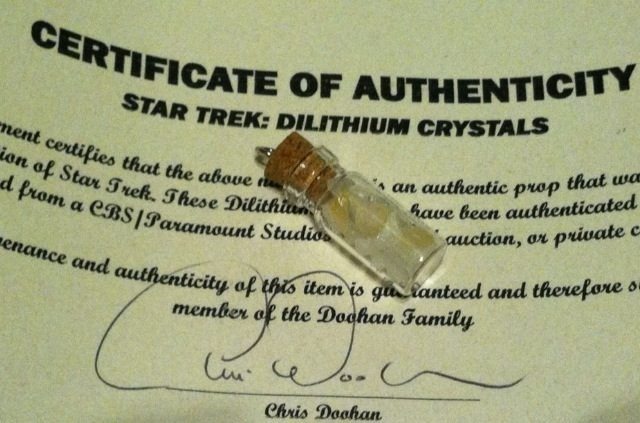 A small vial of genuine Star Trek Dilithium crystals. So, a couple weeks ago, I was amazed to see that Walmart was “pre-selling” Iron Man 3‘s blu-ray the SAME WEEKEND that the movie opened in theaters. 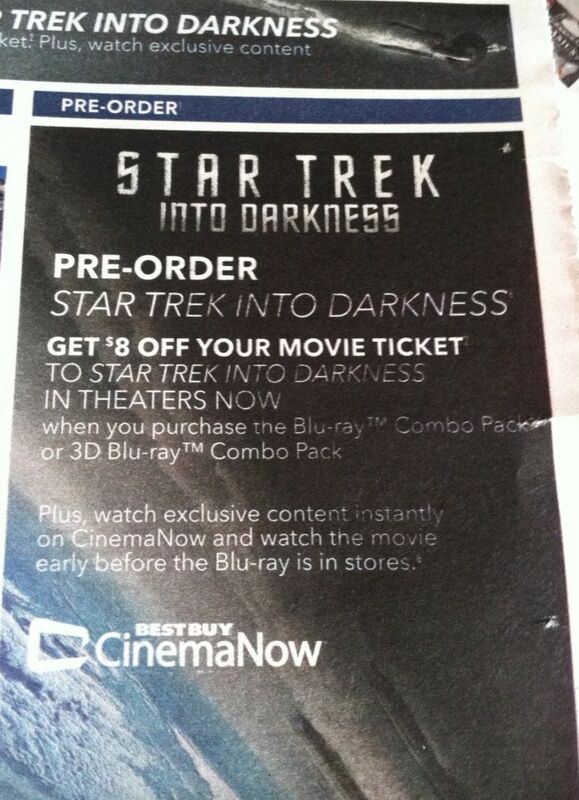 Now, this past Sunday morning, I saw where Best Buy is doing the same with Star Trek. The movies JUST OPENED THEATRICALLY! And these retailers are selling what they don’t even have in-stock, don’t even KNOW WHEN they’ll have in stock?!? And heck, they don’t even list PRICING…probably a deposit of some sort, locking you into a purchase, whatever they decide to charge when the product is eventually produced and released. Personally, I’m waiting for the Enterprise model/case at Target again that I missed out on with the 2009 Star Trek film. If I could be guaranteed for a reasonable price that “exclusive case” I might give in to the disgustingness of a presell. But to just generically offer an empty, generic case? Ugh. Oh, but I guess they’re selling “bonus” or “exclusive” “CONTENT,” which I can’t imagine amounts to more than a few SECONDS of trailer/teaser material. And frankly, I am totally not the target audience, because I am NOT a fan of a lot of online video stuff: I prefer to read, or have it on a tv screen, and prefer to avoid trailers and such as much as I can (I enjoy them before theatrical viewings of films, but care nothing for every last “teaser” or “trailer” the moment it “leaks” online). I guess the retailers weren’t getting enough sales by offering stupid “exclusives” and giftcards as “bribes” to lure “loyalty” from customers. Now they’ve gotta be “the first” to offer to take your deposit money to lock you into buying the product from them months before it’ll even be available.